Start your session in Tumbleweed...and then fast travel to St. Denis. Where you start a session is typically near most of the players. My favorite spot is south-west of the stable. "Best" as in the most expedited way to get to a level for keeping up with 99% of the RDRO playerbase. If you're leveled into the 400's, then of course this advice isn't for you... but you would be a level 400 and you'd already know that. I don't know what "best" is. The fastest way would be either Showdown Series Large, getting loads of kills and winning. Or winning 1st place in Free Roam Events like King of the Castle and getting loads of kills. When I was Rank 415, I needed 21,900 XP to get 416. Can I really get a single level every 20 minutes? f*ck no. That’s a lot of xp. How’s the payout on showdown? I’ve avoided shooting cops for the most part other than to boost my buckles. Leveling that way leaves you pretty cash poor, causing a second grind for cash. I just preferred mostly grinding by hunting since it gave money and xp. I should clarify, hows the payout when you’re not middle to bottom of the pack? The "most expedited" way to level up depends on the skills of the player. Sitting on a roof shooting cops to level 100-200 isn't going to help in the long run. What good is being a high level if you can't defend yourself when needed? Takes no skill at all to shoot ever spawning NPCs. Also it costs alot of money when that time could be used both earning XP and cash. In a 7 minute showdown match I can easily earn over 500XP, a decent chunk of change and a bit of gold. It also develops PVP skills so I rarely need to worry about being ambushed in free roam. I don't think I've ever seen a player shooting NPCs who were over rank 70. It's not something high level players do. Also, 99% of the player base are relatively low level. In showdown series large, only 10% of the players are over rank 100 at the moment. Why do I never ever end up on the team that I choose? Each team had 4 members in each, so it was all perfectly even. Match starts, and I'm on a completely different team. Why can't I be on the one I chose?? Seriously never had this issue with other games. I don't think I've ever been on a team I've chosen to be on. It also doesn't take very much skill for a high-level player (with high-level guns, ammo, and abilities) to kill low-level players (without high-level guns, ammo, and abilities) in an auto-aimed pvp game. While I totally agree with you that NPC spawn killing isn't going to hone a player's PVP chops...there's really not much to hone (as long as you can master the snap-head-shot). Take your character and bust him back to zero. With all of your self-learned PVP experience....how much of a chance will you stand in a fight vs. a Level 40? How about a Level 80? Level 120? Level 200? It's highly likely that they'll f*ck you up, not because of skill at the game----but because they have better gear/abilities. You do have to perform other elements of the game to be successful (in order to earn money to purchase the guns and abilities which come with leveling-up)....but in order to get from 0 to "being able to hold your own" vs. most of the lobby, you need to at least get to that Level 30ish, and grinding cop-kills is a fast way to do that. @Ektope you reset back to zero. Do you struggle against high level players in showdown? It all comes down to skill. Which is earned by playing. XP farming to just gain a high level is pointless because you won't be able to defend. Which is what we're talking about. A skilled player can do well without all the perks available to higher level players. So nice to see that so many people are still absolute dicks, just like in GTAO (/s). I literally just got RDR2 today, and have only been playing RDO for a few hours now. I've been enjoying the immersion, keeping to myself, hunting a bit, etc. Got killed twice by players so far for no reason. I wasn't a threat, and they have pretty much nothing at all to gain or take from me. Once I was on my way to sell a couple of pelts, outnumbered like 10 to 1, never fired a shot, and was still gunned down. Also, Whenever I check the nearby players list, it's been me, and like at least a dozen pink names. What's up with that? Are all those dudes in the same posse? Literally every new "session" I join, it's me, and like 20 pink names. I never see any small sessions, or anything different...Ever. Does skill factor in? Of course. You have to use cover, you have to set up, you have to be able to have a firm grasp on situational awareness and knowing which tact is the correct strategy to lead to victory. Having said that? It's an auto-aimed shooter. The learning curve is incredibly low. Plus, I firmly contest that, if you want to go the dozens with a player who has better gear/abilities? The lower-level player is going to lose more times than not----even moreso if you factor in the dead-eye component (which higher level players can abuse to the point of near invincibility compared to lower-level players). Yep...Can't go into town to closest Butcher, ever. Every session, it's just me and like 20 other pink dot, posse members. I try to get close, and have to ride back because there's always someone there, and they're ALWAYS hostile. If this is normal, then it's a f*cking sh*tshow. It's not always so populated & crazy. There's a tiny xp bonus for posses right now (plus it's the weekend), then when the update drops it'll get even crazier for a short time, then the sessions will be quiet & peaceful again as usual. A level 40 that knows exactly what to buy from the jump can beat anyone not using explosive ammo doesnt matter the level. But yeah before I would say level 40, you are susceptible to higher levels that arent wasting their money on clothes, horses, camps, and other uneeded stuff. Clearly a high level with useful cards will probably win against them early on in the fight. If the level 40 is prepared to fight with tonics and meats and bolt action rifle, they can come back and turn the tide. But most people even high levels, still have paint it black or some other bogus cards and do not use dead eye. I had a pair of level 100s, complain that I used dead eye as if I had agreed to their rules prior to them attacking me. Yeah they attacked me. But then I whooped both of them, I was like 85 at the time. I havent really been beaten in free mode since around 40. Althought I have been killed plenty. I hope so. I still find it odd that it's always just me, and one huge posse. There's never a 3rd, or 4th posse. Ever. Or even any other non-affiliated players. And why TF don't I spawn in my camp upon changing sessions? Or at least near it, instead of on the other side of the map? I love the visuals, and the gameplay itself, but crap like this is really bothering me. So yeah...I guess my gripes are so much with the game, it's just that literally every single player I've come into contact with has been a giant douchenozzle. Every session, it's just me and like 20 other pink dot, posse members. You do know all players are pink dots on the radar? They turn red if they (or a member of their posse) have attacked you, or if they are doing a stranger mission. Otherwise all players are represented by a pink dot. 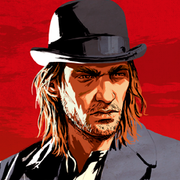 Posse leaders have a star type icon but there is no way to determine who is playing lone wolf or who is posse'd up unlike MC/CEO in GTA. Edit: if you press left on dpad and bring up the free roam menu, select Posse and you can see what posse's are active in your session. Up to 0.08 Gold, $46.00~ and 660 XP. If Sudden Death happened and you won, then 770 XP I think. That's for Most Wanted. At Level 1, I bought Varmint Rifle and Pump Action Shotgun. These were free from Ultimate Edition. They performed okay against people without Slow and Steady and Pump Action Shotgun does the job perfectly at close to mid range. Even a Tier I Dead Eye is enough to tighten the Shotgun pellet spread for one shot kills. Remember how Varmint was supposedly broken with too near perfect accuracy and used to be the meta? Level 40 isn't a problem. Level 80 isn't either. 120 and 200+ shouldn't be either. The only time I was having problems when somebody switched on Slow and Steady at long to mid range, and played aggressively with Repeater or dual wielding. I can't do much about that unless I could Shotgun them or lob a Dynamite their way. But most of the time, it was too easy. I only had Tier I cards, was only allowed two cards, three at Level 30 then four at Level 40. A Level 3 (when comes out of tutorial) can do just fine in Showdown Series Large as long as they know what they're doing. Although I got to 30 the fastest way in a day or two by jumping straight into Showdown. I do not need to get to 30 then start fighting. If someone played without reading tips, without watching from how other people play or sharing ideas. Then they may not even realise how to improve their own gameplay. They won't get to improve at all because they're stuck thinking there's no other way to improve. Like it's the end of the short learning curve. But there's more than that. I'm not sure how else to describe it. The lower levelled player would only get few kills and lose often if they don't have the relevant experience. People using Slow and Steady aren't invicible. They need to be pounded by like a few Repeater / Rifle rounds, especially Express. Or get Shotgun bodied or Dynamite. Dynamites is unlocked at Rank 16. Rank 99 - Studded Bandit Holster - 3.00 Gold"
There was Richfield Vest at Level 5 to 9 I think. and I forgot to put Double Barrelled Shotgun on the list. It doesn't matter. But I did upgrade Carbine Repeater and Cattleman Revolver before going into Showdown. Worn Flat Hat / Cap, Rifleman Gloves, Grizzly Outflit Outfit for French Shirt. I was also levelling all the Tier I cards when they became unlocked. And I'm guessing I should have spent getting all 24 cards to Tier III by around Rank 70 to 80. I'm not saying that you have to wait until level 30 and then start PvP'ing. But when you reach around 30, you can unlock special ammunition, which can be the difference between living and dying. For what it's worth, I also did my early leveling up via the Showdown Series, but there were also quicker ways of going about that, had I the mind and dedication of focusing on just that. Yep. Like especially express, which unlocks around level 31. You're preaching to the choir brother. But yeah, every single word you wrote is true. If I was to replay my character from zero, as soon as I unlocked slow and steady, I would be able to hold my own against almost all players except for those players who have put thought into their pvp game. I think slow and steady unlocks at 24. A level 1 can beat a level +100 that doesnt have never with out one equipped and still is using paint it black. But should progression matter, I think it should. This isnt halo where memorizing the map and right thumb stick movement are all that counts. 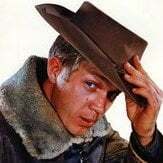 RDO survial elements even the field (balance) for a person willing to craft split ammo, hunt animal fat, tonics and meats. You can be a master head shot but a player who has thought about his game and spent time foraging, the head shot skill becomes a nullified skill. Its only when both players are prepared to fight that the headshot skill actually matters again. And it can certainly be argued that experince/knowledge of the game can trump any transfer "skill" that can be obtained from playing other games. GTAO used to be like that until they put in the oppressor mk2. I’ve been on for an hour so far today and have had 1 stranger mission work out of about 10 attempts. I don’t have much time to play as it is and this is just ruining the experience every time I go on. How hard can it be for Rockstar to fix this? Similar to my experience with Stranger missions, I've stopped attempting to do them, they're too temperamental. When I want a break from hunting, or if I want to earn some gold and better XP, I turn to Story missions instead. I don’t understand... lately, stranger missions have started with few hickups (contrary to how it was maybe 4 weeks ago? ), and tonight, ONE out of 7 or so tried missions have started. None will start. Have tried switching sessions, restarting. What gives?? Edit: Just posted before reading the previous posts, lol... seems like it’s not just mine then. Is it server load or what?? f*cking annoying anyway. Yeah, it's their f*cking crap servers, I hadn't disconnected so much in weeks and strangers did work almost perfectly fine over the last week as well. Today gang hideouts wouldn't spawn again, strangers not work and behold having anymore than 5 bodies in your area you could feel any second you'd get the boot. Did I mention carcasses constantly despawn while hunting ? Borderline unplayable. Rockstar really needs to add private lobbies... The newest form of griefing/trolling I'm seeing now is to take a stranger mission objective, ride across the map, dump it in a deep body of water, then leave the session. This makes it impossible to finish the mission. You either have to wait for the mission timer to expire, or find a new session. If you want to fight for stranger missions in private, then there is some ways to make it work that'll MIGHT convince them. Either tell them to make stranger missions in public to have a bonus so public players get a better payout than private or tell them to add more enemy NPCs into private stranger missions or something else you can think of. Chances of getting R* to consider it is like your chances of winning the lottery; pretty much impossible. Yeah i think they dont want you to do stranger missions in private. They still rather appease the griefers and part of that is making stranger missions public so other players can grief you if they want. We really need places to spawn in. Don't care what it is, a barn for all I freakin care. Just sick of spawning in the middle of people every time I log in. It's pretty frustrating if you just want to check/change settings, make adjustments, look at the map, etc, only to be killed, which knocks you back out of your settings/map (what have you) -- again and again and again. I'd be happy spawning at my camp. Then it would be of some use at least. As it is now I'm paying for a camp I never use. But I'd be happy spawning anywhere other than in the midst of a warzone, especially if I need to fix/change my settings and get my bearings first. And then waiting for my horse to slowly make its way to me (then stopping a ways off so I have to run to it) is oh so much joy...especially when I'm for some reason equipped with the worst gun in my arsenal. When I press down left on RS right stick on weapon loadout. I don't want tomahawk or lasso. I only have a few seconds and will only use dynamite. This gets me killed.